The Sufis, the ancient seers of the Upanishads, and mystics of all traditions, have long taught that we do not require any intermediary, that we can, and indeed must, walk our own unique path out of this world of separation and into the illuminating awareness of God. 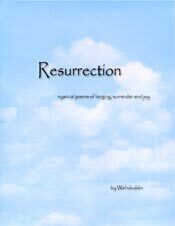 These poems are written in the mystical spirit of recognizing and honoring the Divine Presence, that which is our constant companion, teacher, guide and lover... if only we will be quiet enough to hear the still, small voice. 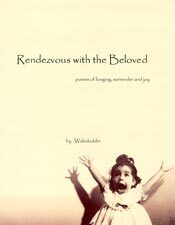 The poems are a celebration of our divine right, our eternal need, to dance, sing and frolic arm-in-arm, hand-in-hand, with the Beloved Divine Presence as we learn to live in the present moment and to see beyond appearances. 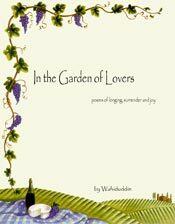 Here are the four collections of my poems... 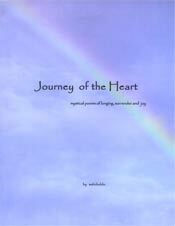 Journey of the Heart is the newest. Behind all that we see, there is something more... and that's the essence of the spiritual journey, looking beyond that which appears and seeing the Cause behind the cause. If you find any of these offerings useful in your life, may all praise be to God, the One Source of all that we receive.